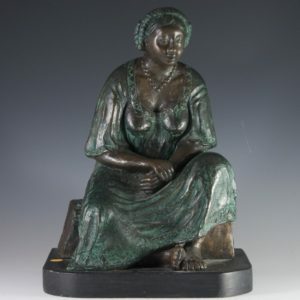 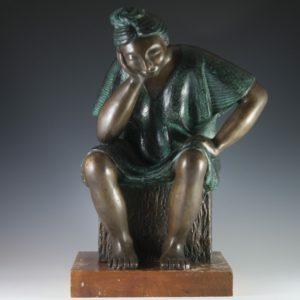 Amongst many other fine Mexican artist, Akiba Antiques has curated 6 magnificent bronze sculptures by Carlos Aguirre. 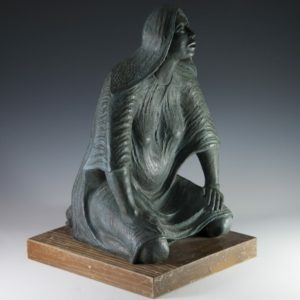 This visual artist uses a unique take on expressionistic sculptures that captivate emotions, and human beings in their natural states amongst industrial impacts amongst indigenous rural communities through out Mexico. 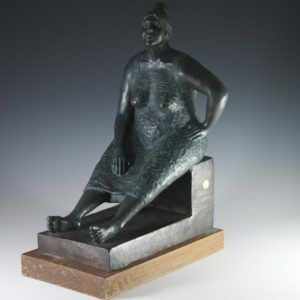 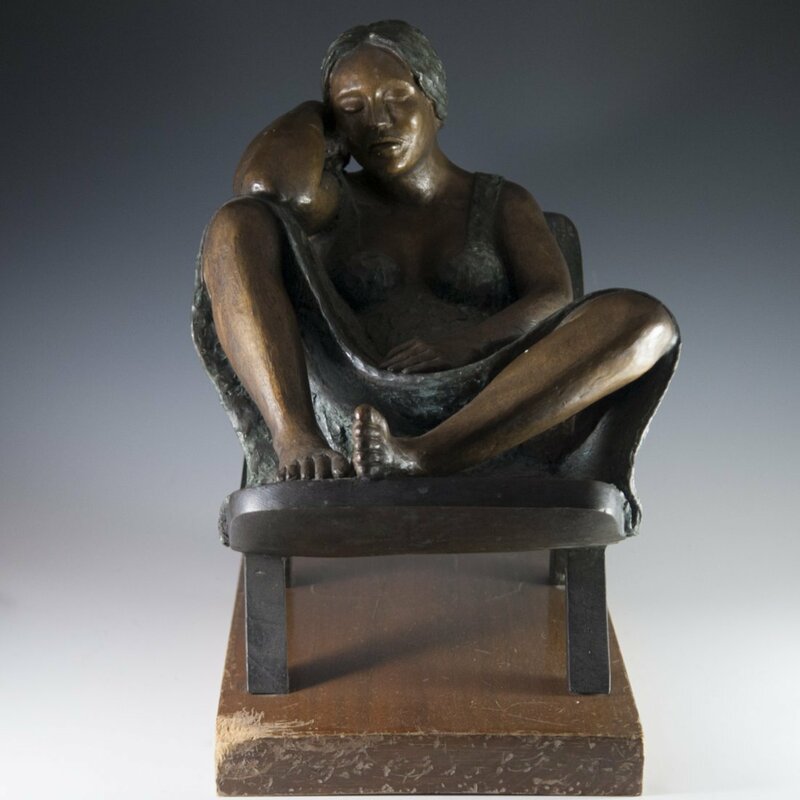 As seen in the sculptures that we have curated, the motif is clearly rural Mexican women, in an array of positions, whether relaxed in a recliner, seated on the ground, or caught in a pensive disarray as they ponder with their heads on their hands.